We love when new exhibits come to Telus World of Science, and the MythBusters Exhibit tops our list! If you’re a fan of the MythBusters show on Discovery you’re going to want to mark your calendar for April 27th which is then the exhibit opens! This family-friendly exhibit will showcase over 60 artifacts which are from the MythBusters show. 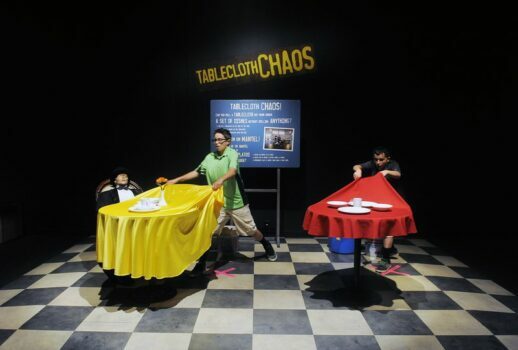 You will also have the chance to engage in real hands-on, interactive experiences such as trying to remove a table cloth while dishes (non-breakable) are on the table, try to change like a superhero, plus many other fun experiences.